When you visit, our first goal is to establish a feeling of trust. Our job is to listen to you and respect your feelings and concerns, without judging your decisions. 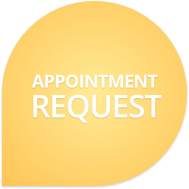 Dr. Sniscak understands that you make it a point to carefully explain your proposed treatment plan and he will take the time to answer all of your questions. Only then will he take you through your treatment with the utmost of care. Modern dentistry has many techniques, local anesthetics, and relaxation methods to increase your comfort. The more involved you are in making your dental health decisions, the less room there is for fear and uncertainty. Thomas J. Sniscak, DMD, was born and raised in South Plainfield, NJ. He earned a Bachelors of Science in Biology with Distinction from Penn State University. He returned to his home state for a Doctor of Dental Medicine degree from the University of Medicine and Dentistry of New Jersey. Dr. Sniscak was the President of his graduating class and a member of numerous professional organizations, including Omicron Kappa Upsilon, the National Dental Honor Society. Prior to entering private practice, Dr. Sniscak completed a general practice residency at Jersey Shore University Medical Center in 2011 to gain valuable experience in anesthesia, oral surgery, and comprehensive treatment planning. It was his honor to accept a faculty position at the hospital upon commencement, and he currently takes hospital call to serve the urgent dental needs of hospitalized patients. He serves on the Board of Trustees as the Vice President of the Monmouth-Ocean County Dental Society. Dr. Sniscak is also the Chairman of New Dentist Committee of the New Jersey Dental Association. Continuing dental education allows him to bring the latest and greatest to Smiles By The Sea, as he attends over three times the state board requirement. In his spare time, Dr. Sniscak enjoys the great outdoors, golf, kayaking, and woodworking. Philip L. Hanapole, DMD, earned his dental degree from the University of Medicine and Dentistry of New Jersey, after earning his bachelor's degree from Rutgers University. He has been a lifetime student of postgraduate education, recently selecting courses focusing on Six Month Smiles ™, mini implants, and LANAP™ laser periodontal surgery. Dr. Hanapole has achieved Fellowship in the International Congress of Oral Implantologists and is a past treasurer of the New Jersey Society of Cosmetic Dentistry. He is also proud to be the prosthetics advisor to the Jersey Shore Dental Forum. Dr. Hanapole has retired in 2015 after 40 years of service to the Belmar community. He and his wife Hanna have two grown sons and five grandchildren, with whom he spends a great deal of his spare time. He also loves golf and gardening.